Enjoy now the comfort of your iPhone 4/4S with two SIM cards. No need to carry two phones or swap its SIM constantly on his cell phone to use two SIM cards in one iPhone 4 or 4S. The Dualsim Case X-Twin 4 is a Dual SIM adapter which allows you to install and have 2 SIM (micro SIM and/or SIM card standard format) in your mobile phone. This Dualsim Adapter X-Twin 4 is very useful for businessmen in the competitive world, borders and all persons who have two SIM cards (Professional SIM / personal SIM / foreign countries SIM). 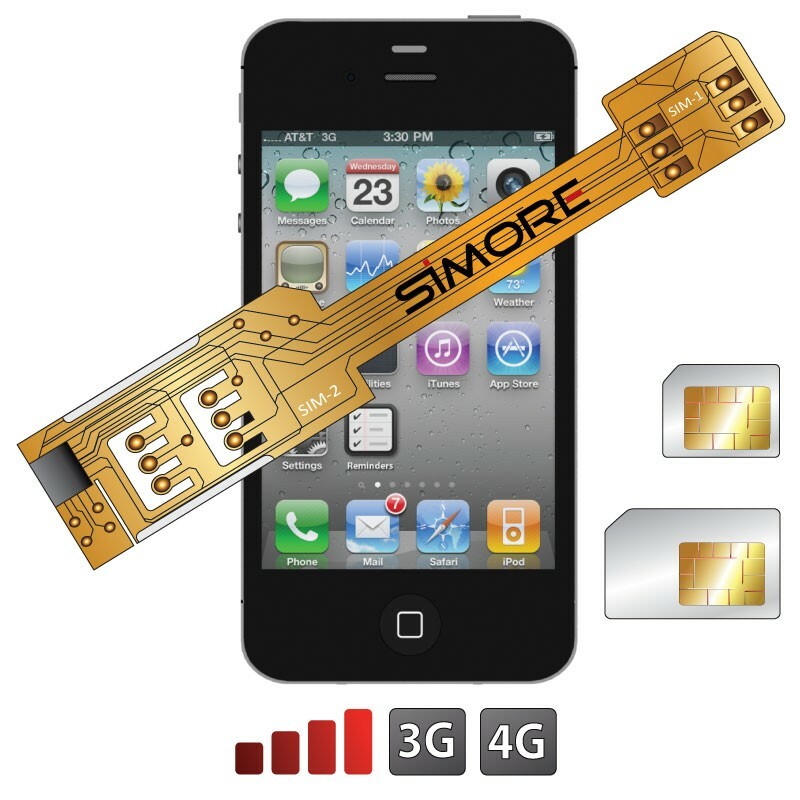 The SIM-1 (micro-SIM) fits directly into the iPhone 4/4S slot and the second SIM is placed on the back of your iPhone protected by the protective case. With its sleek look, your iPhone 4/4S preserves its design while being fully protected. The Dualsim Adapter Case X-Twin 4 installs easily and quickly. You simply choose to manually or automatically (for iPhone 4) switch between your two SIM. You can also name your SIM cards, convenient to know on which SIM you are connected. Protect your iPhone 4 or 4S from shocks and scratches. Made from a super tough PC skin, this Dualsim Adapter Case gives free access to all features of your mobile (buttons, connectors and camera of your iPhone 4/4S).